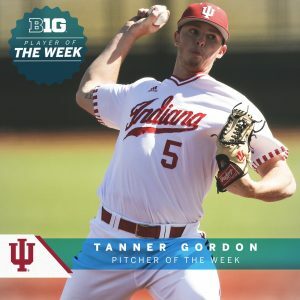 Every Monday afternoon the B1G Ten Conference decides the Player, Pitcher and Freshman of the week. 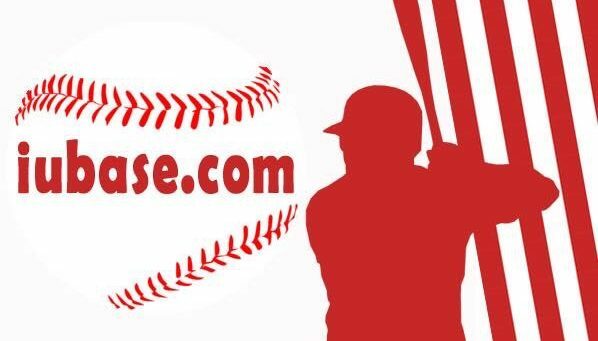 Lately, it seems like it has just been ‘Which Hoosier do we pick?’. 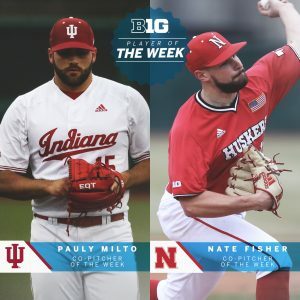 Adding two more today, Hoosier Baseball has won 5 of the last six awards. 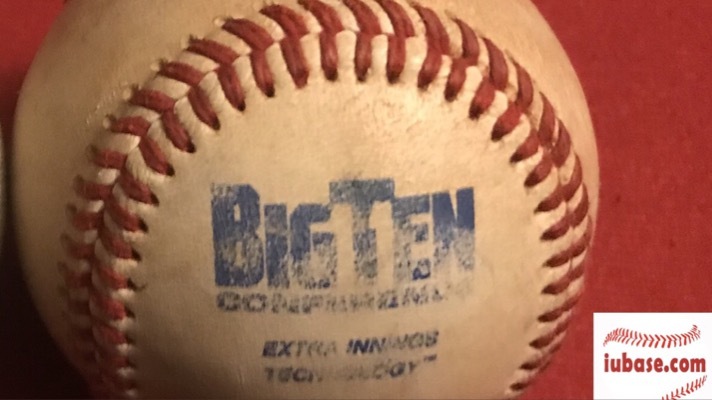 Here is a look at the B1G Awards won so far in 2019. 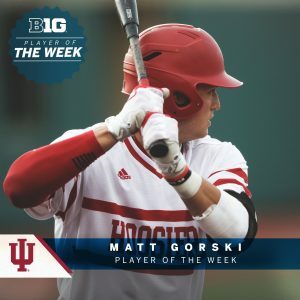 Matt Gorski wins Player of the Week. 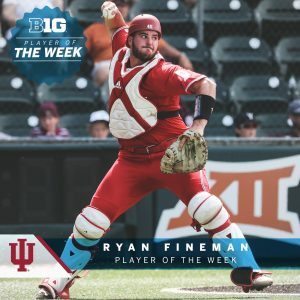 Ryan Fineman Wins Player of the Week. 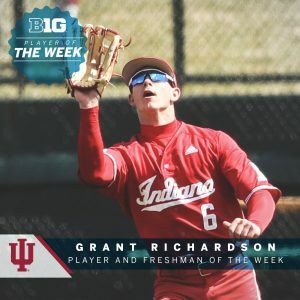 Grant Richardson Wins Player of the Week and Freshman of the Week. 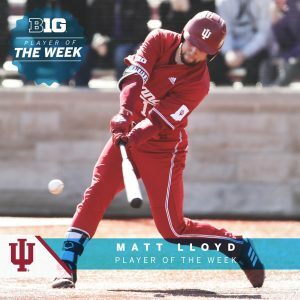 Matt Lloyd Wins Player of the Week. 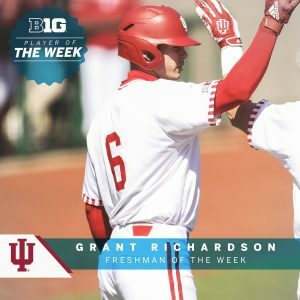 Grant Richardson Wins Freshman of the Week.